The new 2019 edition of this best-selling annual publication builds on the long history and heritage of the title. 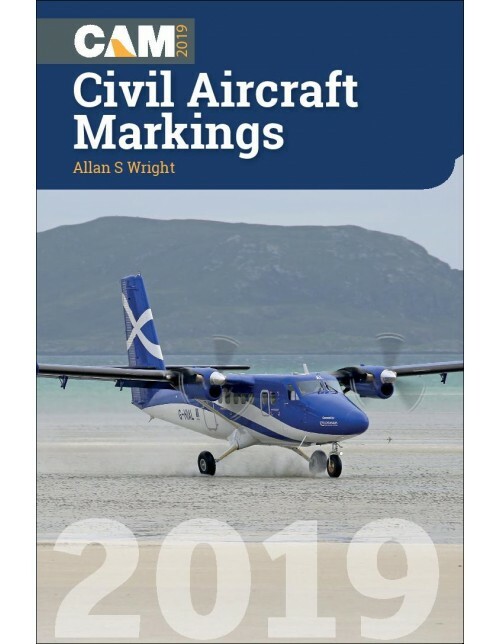 First published in 1950, this is remarkably the 70th edition of Civil Aircraft Markings. When it was first published all those years ago, the book quickly achieved the status it still retains as the go-to publication for up to date information on the rapidly changing world of civil aviation. 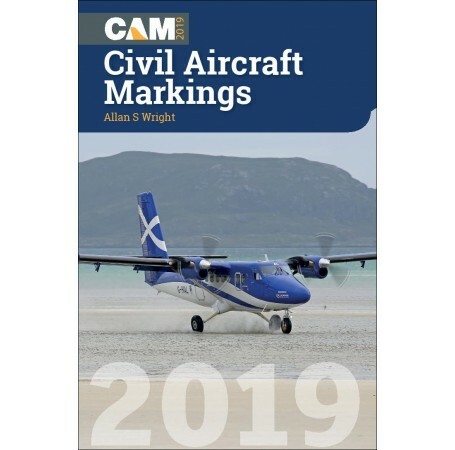 The book provides the most complete listing available of all the aircraft currently on the UK Civil Aircraft Register; around 20,000 entries are detailed in this section alone ranging from historic bi-planes to the latest airliners and also includes balloons, gliders, microlights and helicopters. Additionally, Civil Aircraft Markings, contains the latest civil aircraft registers of Ireland, the Channel Islands and the Isle of Man. Civil aircraft commonly visiting the UK from other states round the world are also listed. The book also provides the common airline flight codes, radio frequencies for major UK airfields and the complete British Aircraft Preservation Council (BAPC) register. The 2019 edition has been fully revised and updated as usual and has a new and enhanced photographic section. Compiled by one of the UK's most widely respected aviation authors, this classic aviation reference title continues to flourish and its publication is eagerly awaited every Spring by a legion of civil aviation enthusiasts for whom it is the essential companion to the enjoyment of their hobby.